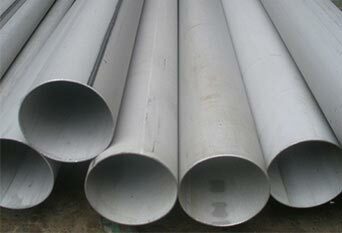 ISO Approved Supplier & Exporter of Super Duplex Steel ZERON 100 Seamless Pipes & Tubes. ISO 9001 Certified Co. | ISO 14001 Certified Co. | OHSAS 18001 Certified Co. | PED Certified Co.
Stockists of Huge Range of Super Duplex Stainless Steel Zeron 100 Seamless Pipes, Super Duplex Steel ASME SA790 Zeron 100 Pipes Dealer, Super Duplex Stainless Steel ZERON 100 EFW Tubing Stock Holder, Zeron 100 Super Duplex Steel ERW Pipes. Piyush Steel offers range of Super Duplex Zeron 100 Stainless Steel Pipes in Mumbai, India to esteemed clients. Super Duplex Zeron 100 Stainless Steel Tubing meets the terms in the company of UNS S32760 grade, and is being made up for the usage in quite aggressive environments. Super Duplex Zeron 100 Tubes has comparatively austenitic–ferritic structure, along with having greater resistance to chloride pitting, crevice corrosion and stress corrosion cracking than exhibited by the standard 300 series stainless steels. Austenitic Super Duplex Alloy Zeron 100 Pipes is resistant to pitting and crevice corrosion in warm seawater by means of a guaranteed corrosion performance. Also Ferritic Super Duplex Alloy Zeron 100 Tubes is superior resistance to sulfuric acid at most concentrations, along with an enhanced resistance over austenitic stainless to erosion corrosion and corrosion fatigue. We offer Super Duplex Stainless Steel pipe and tubes with grade Zeron 100 in different sizes and specifications to suit the needs given by our esteemed clients. Zeron 100 Super Duplex Pipe, ASTM A789 Super Duplex Steel ZERON 100 Welded Tubes, ASTM A789 Seamless and Welded Super Duplex Stainless Steel ZERON 100 Tubing, Super Duplex ZERON 100 Seamless Tubing, Super Duplex ZERON 100 Seamless Pipes, Super Duplex Steel Zeron 100 Pipe, Super Duplex ZERON 100 Welded Pipes, ZERON 100 Super Duplex Tube Supplier in Mumbai, India. ASTM A790 Super Duplex Steel ZERON 100 Pipes, Super Duplex Stainless Steel Zeron 100 Tubing, ZERON 100 Super Duplex Welded Pipes, Super Duplex 2507 EFW Pipes, ASTM A789 ZERON 100 Super Duplex Stainless Steel Seamless Tubing, Super Duplex Zeron 100 Pipes, ZERON 100 Super Duplex Stainless Steel Seamless Pipe Dealer, Super Duplex Steel ZERON 100 Tubing Manufacturer in India. 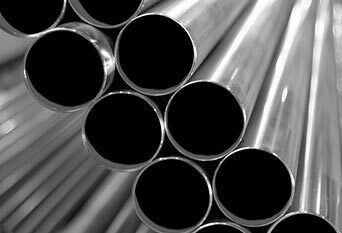 ASME SA 789 Duplex Steel S32205 Tubes are being offered by all the major stainless steel mills for a number of reasons: Higher strength leading to weight saving, Greater corrosion resistance particularly stress corrosion cracking, Better price stability, Lower price, and more. This Duplex Stainless Steel DIN 1.4462 Pipes can often be reduced which minimizes these fabrication factors. 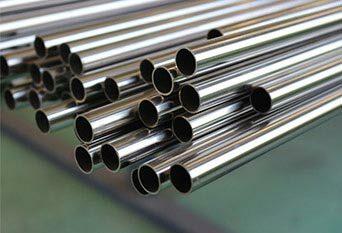 Manufactured in accordance with different sizes and specifications, Ferritic Stainless Steel Grade 2205 Tubes are extensively used in industries like paper, oil and gas, pharma, chemical, sugar and others. Austenitic stainless steel Grade 2205 Pipes are also used in Processing equipment, High chloride and marine environments, Transport, storage and chemical processing, Paper machines, liquor tanks, pulp and paper digesters, etc. 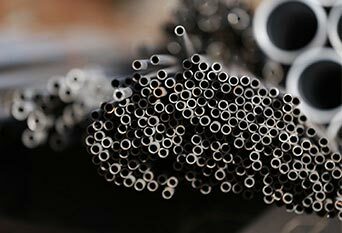 We Supply Duplex Steel UNS S32205 Pipes & Tubes Pipes & Tubes of various origin’s and companies like Nippon Steel & Sumitomo Metal, Sandvik, Sanyo Special Steel, Kobe Steel, Schoeller Bleckmann, Salzgitter Mannesmann Stainless Tubes, Tubacex etc. super duplex stainless steel zeron 100 pdf, zeron 100 mechanical properties, super duplex zeron 100 pipe, super duplex pipe, super duplex stainless steel zeron 100 pipe, super duplex zeron 100 pipe specification, super duplex stainless steel zeron 100 grades, super duplex stainless steel zeron 100, zeron 100 super duplex tubing, super duplex stainless steel zeron 100 tube, super duplex stainless steel zeron 100 pipe specification, super duplex zeron 100 pipe material grade, super duplex stainless steel zeron 100 composition, super duplex zeron 100 chemical composition, astm a790 zeron 100, zeron 100 equivalent, zeron 100 super duplex stainless steel data sheet, zeron 100 pipe, super duplex stainless steel zeron 100 pipe.